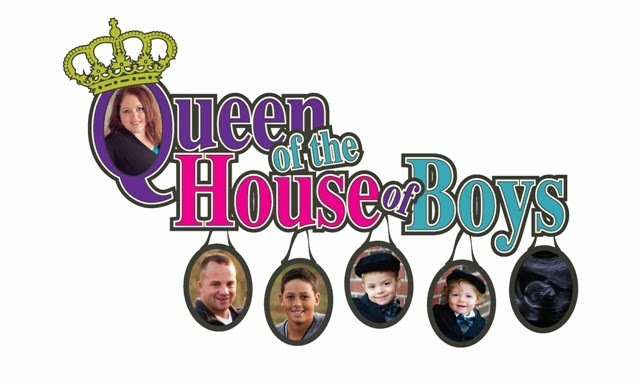 Queen of the House of Boys: BlogLove Swag Props! It is due time to give props to those who provided the beautiful swag for LoveFeast Table's wonderful BlogLove gathering. You have heard me mention that night many times by now, and as mentioned before...I am just not ready for it to end. 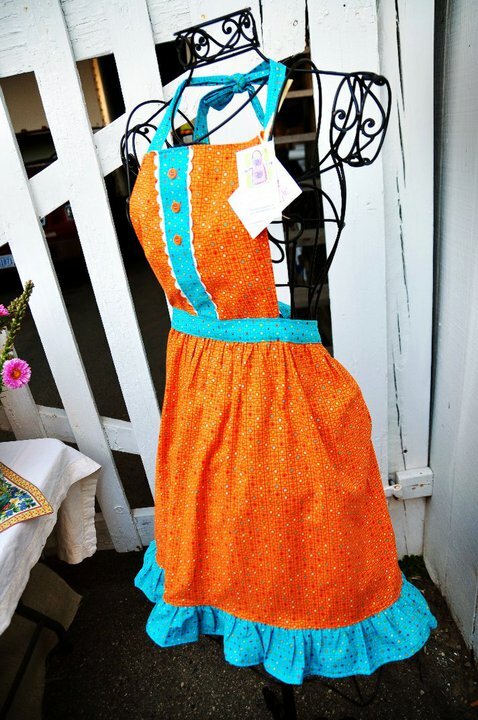 We were so honored to have been able to donate a fabric corsage pin to each swag bag...and also to giveaway this vintage style apron in a drawing! I was so excited when I saw Amanda walk into the event carrying some of her famous baked goods! This cookie was devoured that night at 1:30 AM. When the night DID come to an end, I left with this swag bag of goodies. This handmade bag, along with the other 39 bags, was created and donated by Kelli. The bag was filled to the brim with all of these goodies. Camille on Rouge had these charming old magazines beautifully tied together with their business card. What a creative use for old magazines! The event was actually held at this charming antique shop in Prior Lake, MN. Houndstooth gave everyone a $20 gift card to use in their store! Aveda gave us all a hand massage while at the party! They also gave us some carribean lotion and a perfume bottle that can be filled at their location with the scent of your choice! Suzanne Jean Photography was not only our official photographer of the night, but she also gave us a $20 savings for her services! Her photography is amazing! The Vintage Pearl gave each of us our own necklace with BlogLove inscribed. I haven't taken my necklace off since. I love it so much! I am thinking about some great Christmas presents! The LoveFeast dynamic duo thought of every last detail for that evening. Mela Kamin gave us all her CD!! Mela has a beautiful voice, a heart for God, and a passion to use her gifts to help people! Oh yeah, and she is beautiful! We got a sneak preview taste of the new LoveFeast coffee brew. The taste is wonderful! Sweet Goddess Chocolates donated a package full of sweet and savory chocolates for a giveaway! Love Feast also gave us a brochure for a resort in Mexico that they are going to soon. I really would like to figure out a way to hide in their suitcase because the resort looks amazing! That about wraps up the Swag Bag Love. Oh, and did you see that LoveFeast has a Trademark on "BlogLove" now! That is so cool! It is so exciting to see everyone's adventures growing! Janelle, what a great swag bag wrap up!! We are so glad you loved them!! And we are so grateful to you for your contributions! It was also great getting to know you better! Oh, you are just the sweetest thing ... thank you for your kind words. I just want to take you with me wherever I go - I always feel so loved.